Our aluminum windows cost estimator provides a price range for this window style. We provide you with two options, one is a project price range, while the other is a per square foot window cost for just one window. 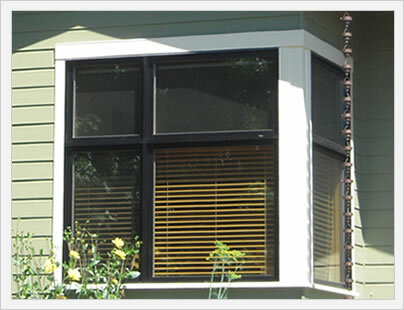 Of the five main replacement window materials, aluminum is the least popular frame material for residential homes. The reason is the lack of energy efficiency. 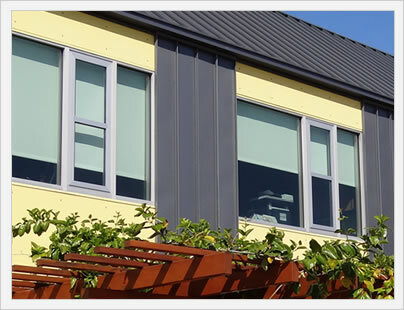 Aluminum cladding is often used for wood windows as the tough external material that can stand up to the outside environment. Aluminum windows are made, not surprisingly out of aluminum metal. Most aluminum window frames today are what's called thermally broken, meaning that there is a piece of nonconductive material between the different pieces of aluminum used in the frame. This greatly helps to better the energy efficiency of the windows. Even with this advance, aluminum window frames are still much less energy efficient than other types of window frames such as vinyl and fiberglass. Aluminum windows are used in most commercial buildings due to their incredible strength. Aluminum windows are some 8x as strong as vinyl windows and 20x as strong as a full wood window. Unfortunately, the frames are very energy inefficient. The poor performance numbers are enough to keep most homeowners with the other frame alternatives. The one exception is very hot climates where aluminums strength and durability is a great option. Cladding is the material that's used on the outside of wood windows that protects the exterior of the window from the wear and tear of the outside elements. The wood is used on the interior and provides consumers with the beautiful look of a real wood species. Aluminum is one of the cladding materials often used, along with fiberglass and vinyl. This is like having the best of both worlds; beauty on the inside, strength on the outside. Aluminum typically has a dark color to it and is quite often seen on commercial buildings due to its incredible strength. Aluminum window costs are usually between $60 and $100 per square foot fully installed. There are a whole host of factors that will affect whether you pay at the lower or upper end of this price range. Some of the more important factors that go into the installed price include the the specific manufacturer you select, the actual size of the window, the the number of upgrades and add ons you opt for and the type of installation you require. It's always best to get a few window bids from local companies in order to make sure that the installation costs are in line with the other project quotes. In terms of the overall cost of an aluminum window, most consumers will be looking at roughly $350 to $1,100 fully installed. Use our aluminum windows prices calculator to the right to determine a general price point for your next project. There are a number of very good companies that manufacture aluminum windows, some of which are full aluminum (thermally broken), while others are aluminum clad (wood on the inside, aluminum on the outside). The selection are listed from least expensive to most expensive.